Valentine’s Day dessert, done!! I was looking for something sugar free for the family and based on all the great comments, I don’t have any reservations at all. I am going into be a hero! Thanks so much for posting! Happy Valentines Day Cynthia, I hope everyone enjoys their treat!! Thank you for the recipe. Would it work if I used half and half? 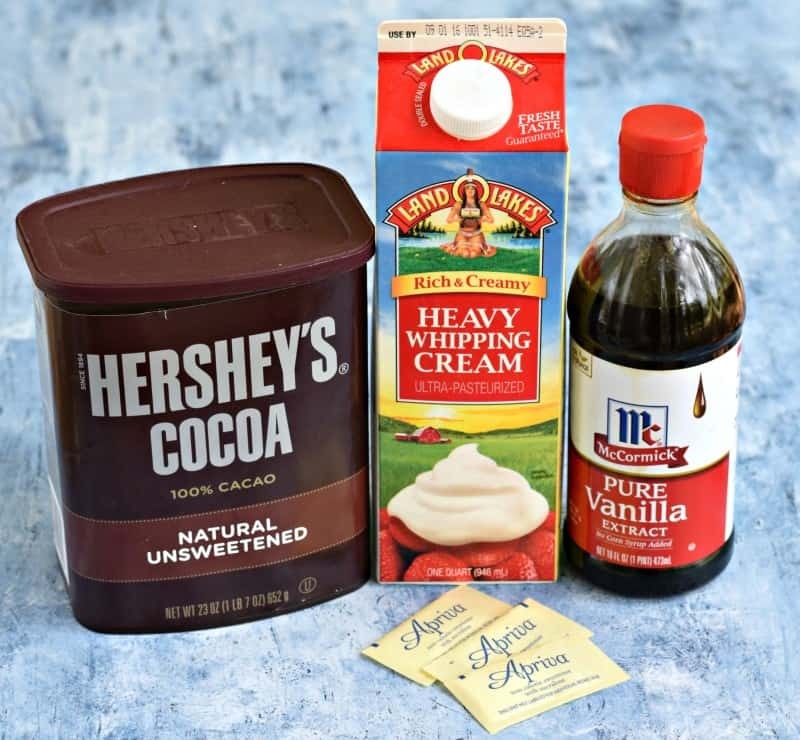 Christy, thanks for sending this delicious low-carb , sugar free recipe again. Keep sending any low-carb recipes you run across and thanks so much for all the delicious recipes you share with us. 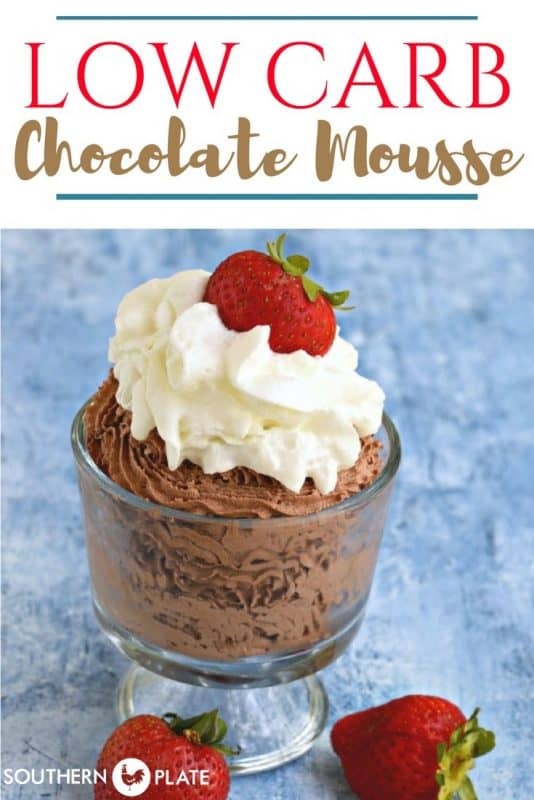 I know I have sent a response to you before regarding this recipe, but I was just so glad to see it again and it reminded me how much we have enjoyed the mousse! I am so glad you like it Janel!! You comment as many times as you want, they are always appreciated!! Oh wow, great thinking Phyllis!!! I am glad it helped. So I’m confused how this can be a dessert for ONE! 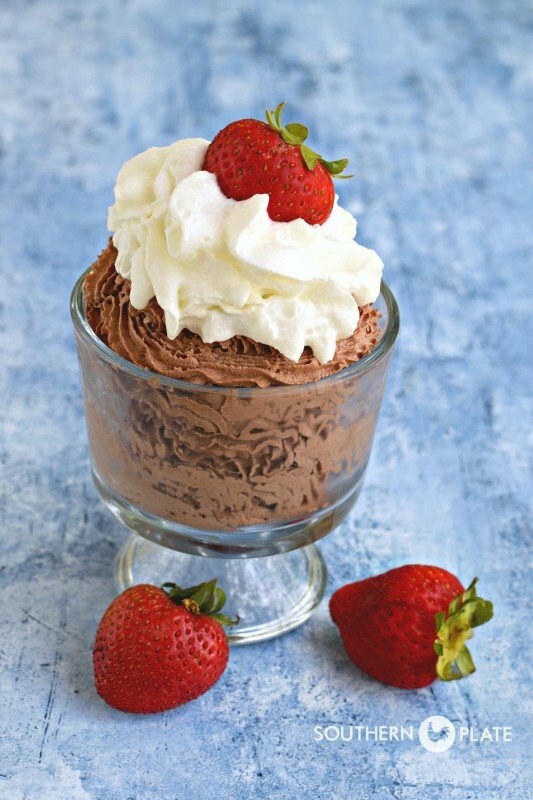 With 1 cup of Heavy whipping cream, the total calories for 1 serving is a whopping 872 calories! It tastes really good, but I’d have to split it up into four portions. Sounds like you’ve already figured out how to make it work for you – no confusion from what I see. Enjoy! What a great idea Laura, thank you for sharing!!! This sounds really tasty. At times in the afternoon I would really like something as decadent as this sounds! I take my lunch to work, and my question is…if I made it the day before, does the cream break down or is it still firm? Thank you. I enjoy your recipes, posts, and you! Your sweet and funny personality comes across to us on this side – love it. I just made this. It’s delicious! I used xylitol as my sweetener and cacao for my chocolate. Thanks for sharing. I am so glad you liked it Cindy!! Christy, I love your recipes! 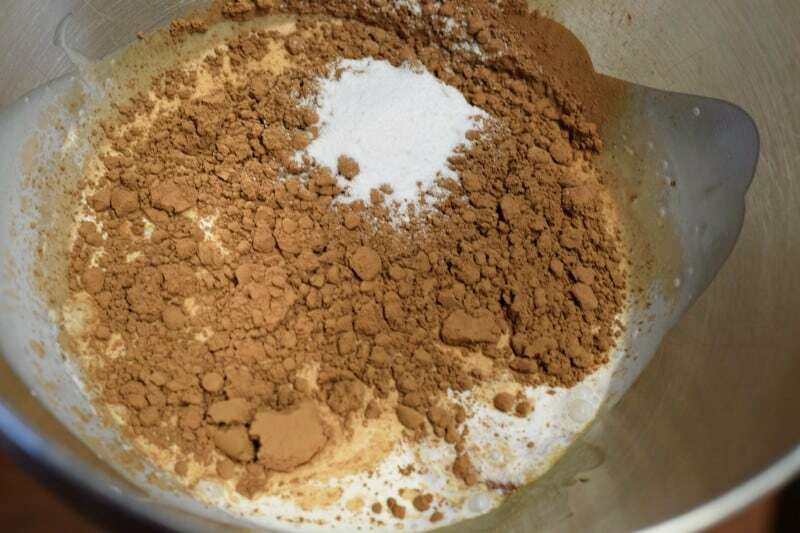 Do you bake the almond pie crust and if so what temp and for how long? Thanks so much! Looks great, a must try. You just saved me and my diet! I had a crazy craving that would not shake! Thank you!! I used swerve and it was delicious! I am glad it worked and you enjoyed it Cassy! !